Will you join me in a Random Act of Kindness for 10 men who are in Ellis County Jail who deserve to be free for Christmas? 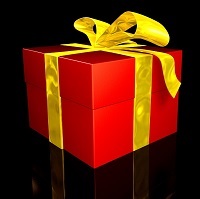 Let's give these men a real surprise for Christmas. Best wishes to you and yours this holiday season. If you have a few dollars to spare to help some nice men enjoy freedom this Christmas, please join me. I am working with Act Quick Bail Bonds -- Victoria -- 214-400-7575. Please call Victoria and see if she will take a credit card payment for the William M. Windsor Get 10 Men Out of Jail for Christmas Fund. If not, mail a check to William M. Windsor, PO Box 150325, Dallas, Texas 75315. I will use the funds only to bond these men out. If I can't pull it off or get more money than needed, I will return yoiur check. Links to the mugshots and booking information of the men are listed in a list below. They are Zachary Glen Anderson, Michael Finch, Robert Jack, Zackery Jones, Michael McGowan, Nicholas Parker, and Matthew Rauen. P.S. My friends from Ellis County Jail in Waxahachie, Texas include Carlos Amador aka Paradise, Zachary Anderson, Cody Barnes, James Boyette aka The Boxer, David Bradshaw, Steven Calder aka The Enforcer, Lejonathan Cox, Greg Deloach, Cristoval Diaz, Brian Eaton, Michael Finch, Julian Fira, Donald Ford, Francisco Garcia, Justin Garcia aka Houston, Arcadio Garza, Michael Gonzales, Lonnie Hall, Michael Harvey, Robert Holland, Chris Horn, Robert Jack, Aaron Jones aka AJ or Lover Boy, Zackery Jones aka Locker, Greg Mason, Billy Mizer, Faustino Montemayor aka Claxton, James Myers aka Cellie, Heath Neitzel, Nicholas Parker, Eugenio Pena aka The Barber, Lonny Ramirez, Matthew Rauen, Bobby Rhodes aka Tank Boss, Benton Skelton, Louis Stocker aka Organized, Amber Vanderzwart, Gustavo Villanueva, Hector Villanueva. I wish I could get them all out, but some have high bonds and others have no bonds. 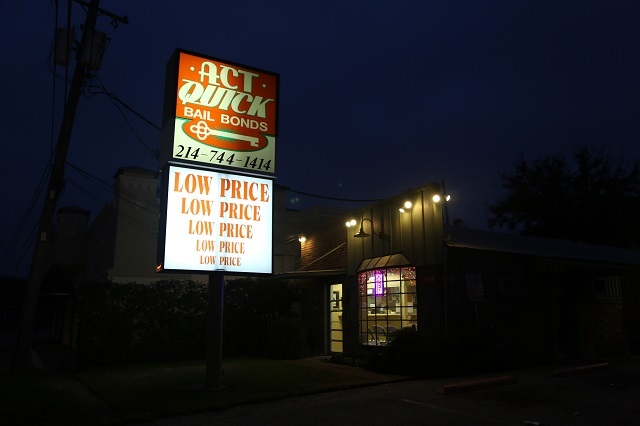 The absolute best bail bond company in Dallas and Ellis County is Act Quick Bail Bonds. now I am going to get men out with Victoria from Act Quick's Ellis County office. P.S. I have made a commitment that when I win a multi-million judgment against Ellis County Texas for the myriad of violations of my civil rights, I plan to try to bond out everyone in the Ellis County Jail with bond less than some ceiling amount. I'd love to get hundreds out. Act Quick Bail Bonds has already been retained for this. If you haven't read the story of William M. Windsor's illegal "arrest," illegal incarceration, illegal denial of bond, and illegal denial of release, please read and follow the subsequent parts that Bill Windsor will write. Part 1 is the background to the story. Part 2 discusses when Bill Windsor was handcuffed and taken to jail from a hearing in a civil suit that he filed against the people who have viciously defamed him in what is the largest case of defamation in U.S. history. Part 3 will detail early days in jail and attempts to get someone/anyone to help; the conspiracy to keep William M. Windsor in jail begins to come to light.